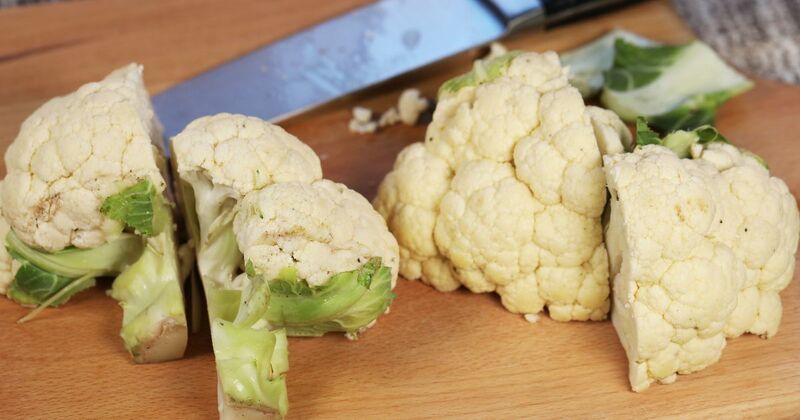 In the recipe below, we take cauliflower and simply cut it into wedges, limiting unnecessary waste and cooking every part of the wonderfully versatile vegetable. Too often, people discard the leaves, but they are actually great-tasting and completely edible. 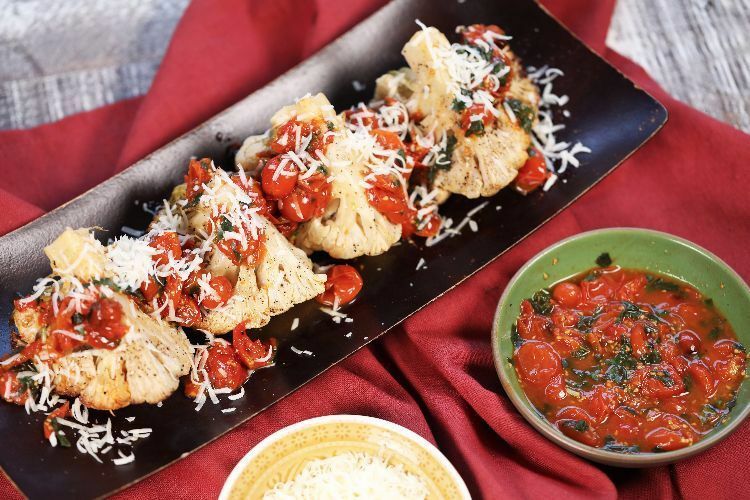 We pair the classic combination of fresh tomatoes and basil to sauce up the cauliflower. The slow-cooked cauliflower comes out beautifully tender. With the sweetness of the tomatoes and the peppery taste of fresh basil, it's the perfect summer side dish. It's so good, you can just eat the whole thing as a meal. 1. Lightly trim any brown leaves from the cauliflower. Keep the rest of them on; they're actually delicious. Cut the cauliflower into quarters to make four wedges. 2. Place cauliflower in the slow cooker with cut edges facing upward. Drizzle with olive oil, then season with salt and pepper. 3. Evenly spread tomatoes around the cauliflower. 4. Cover and cook on high for 3 hours. 5. Gently remove the cauliflower wedges from the slow cooker and put them on a serving dish. Add the basil to the slow cooker and mix with tomatoes. Spoon tomato mixture over cauliflower wedges and serve. Tip: Serve with freshly grated Parmesan cheese right on top of tomato mixture! Cauliflower and lentils get covered in warm curry spices so everything can cook together in the slow cooker. Have you gotten on the freezer-meal trend yet? They are a great way to plan and prepare delicious home cooked meals for the whole family.